Recently, I’ve been reflecting on the three years that I’ve now resided in Denver. “Far and away the best place that I’ve ever lived,” I recently told some peeps back in the Midwest. “Our 300 plus days of sunshine makes for some of the best weather in the nation,” I shared with another.But my biggest discovery is Denver’s reputation as one of the most socially engaged cities in the U.S. Despite its distinction as the 23rd most populous major metropolitan area in the nation, the “Mile High City,” as it’s affectionately known, has a surprisingly small, close-knit community feel to it. The mountain of social and business events that take place on a daily basis evidences the centrality of face-to-face engagement. While many of these get-togethers are of a planned and formal nature, connections often occur in an unpredictable, synchronistic fashion, whether at a local pub in Denver’s densely urbanized Capitol Hill or in a tony restaurant in the entrepreneurial-infused Denver Tech Center area. In his book Triumph of the City, Harvard economist Edward Glaeser argues that the fostering of what he calls “random collisions” among humans are one of the most prized assets of urban life. According to Glaeser, this sort of dynamic serves a catalyst for unexpected business and personal introductions, relationships and even collaborations. The citizenry of Denver have made a sport out of these sorts of encounters, as it’s not uncommon to cross paths with people you know on local streets both day and night. Much of this is due to the active lifestyle present in the Mile High City, which encourages mobility versus being cloistered away from civilization. It’s more common for business to be conducted in open environments of conversation and exchange, versus in some sterile office environment. 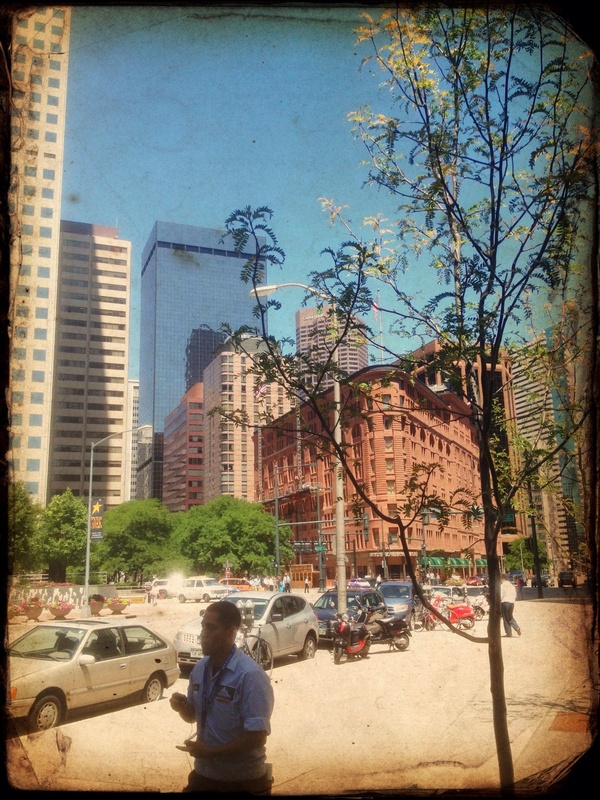 Downtown Denver’s 16th Street Mall is infamous for its mid-afternoon gatherings of business-minded professionals who allow for the creative flow of ideas over a refreshing beer. The proliferation of these informal exchanges is the gist of what author Ray Oldenburg explored in his book The Great Good Place. He predicted over 20 years ago that “third places” like coffee houses, hair salons, bookstores and local pubs would serve as central nodes of civic connection. In these social spaces where people congregate for a brief respite from work and home, conversations occur in organic fashion among unsuspecting newbies as well as regulars, leading to unexpected and oftentimes rewarding connections. Denver-based Little Pub Company manages a varied cornucopia of pubs throughout Denverthat serve as sparkplugs for spirited community connection. On their website they promote the importance of relationships among “the people in your neighborhood,” – singles, couples, families, and parents on a date night. My two favorites among their pubs, Wyman’s, an old school Chicago-themed bar in the Capitol Hill district, and The Pioneer, a staple in the University of Denver community, exemplify the Little Pub Company’s spirit of first-nameconnectedness among regulars in environments that abound with unpretentiousness, playfulness, music and fervent laughter. These are the types of spots that would make Norm from the hit television show Cheers proud. An alum of Ohio State University, I often find myself at Crocs Mexican Grill at 16th and Market during football season watching my beloved Buckeyes make a run at the Big 10 championship each year (See Photo Below). 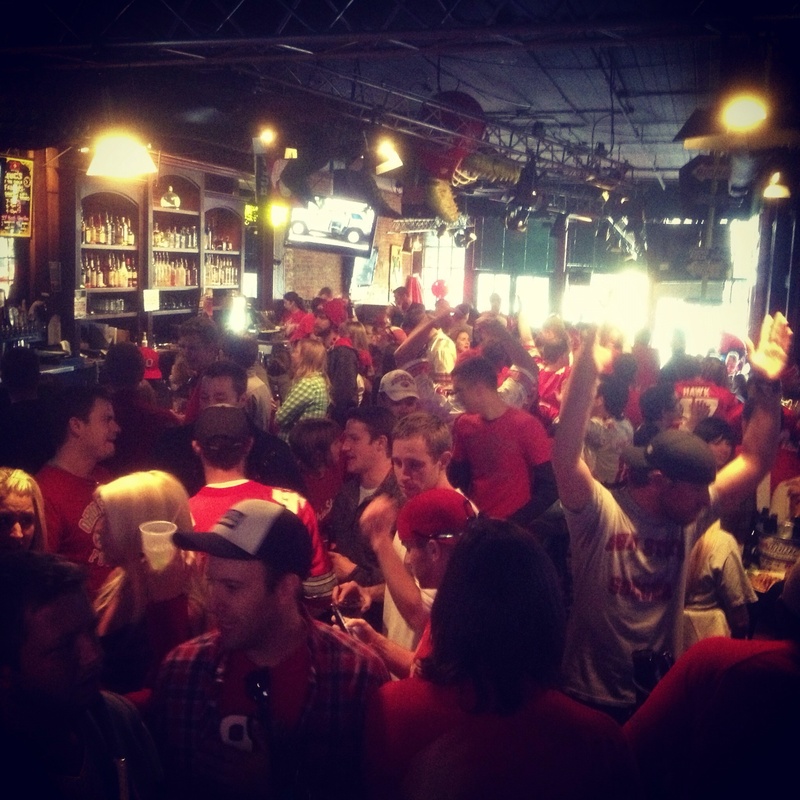 Every Saturday, hundreds of faithful fans gather at a bar called Crocs, located at 16th and Market in downtown Denver. These types of branded sporting venues profusely populate the city and serve as an outlet for community vibrancy and economic development. Another driver of community engagement is the social media buzz that hums throughout Denver, one of the most active cities for Facebook and Twitter participation. Personal and business connections percolate via these and other social media channels 24/7. Earlier this year, I had the pleasure of attending an in-person gathering of local Twitter enthusiasts on the rooftop of the brand new DaVita World Headquarters Building, located on the fringe of Denver’s LODO District. Over 100 attendees enjoyed an array of craft beer and winewhile taking in some of the best mountain and city views from DaVita’s top floor terrace. While the ultimate purpose of the event was to create a networking forum in support of kidney disease, the evening’s social vibe highlighted the role of civic engagement in building cause-based connections. This convergence of technological, social, and civic forces is fast becoming a catalyst for boosting economic development in Denver, culminating in the emergence of specific nichescatering to the city’s rapidly mushrooming demographic of creative workers. This movement reflects the growing demand for a sense of community and belonging stemming from the “rise of the creative class,” a phrase coined by Richard Florida, professor and head of the Martin Prosperity Institute at the Rotman School of Management in Toronto. Craig Baute is the founder of Creative Density, a collaborative, community-driven workspace for freelancers, remote workers, and start-ups in Denver. He states that a growing number of creatives are longing for community spaces that support their personal and professional endeavors. Michael Scott can be reached at either 303-578-0791 or urbanvisionary@gmail.com. Edits by Emily Jessen. Few higher education institutions rival the power and influence of Harvard University, or its history – this year marks its 375th anniversary. 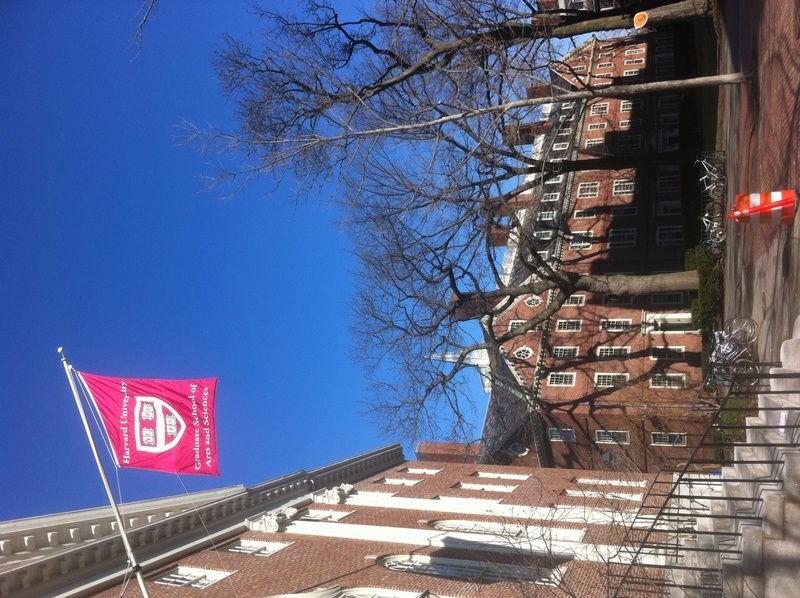 As an itinerate student of cities and communities, I have long been intrigued by prestigious academic establishments like Harvard and the impact they have on their local communities. With Harvard’s long history as a bastion for innovation and research, the surrounding area has become a natural draw for high profile firms and emerging companies seeking collaborative academic ventures to fuel their growth. This, in turn, leads to job growth and trickle down dollars which support local economic development. On a recent March visit to Cambridge, Massachusetts, home of Harvard’s main campus, I wandered the local streets, jotting notes on my iPhone app while encountering bohemians, academics, and students–some even disguised as St. Patrick’s Day revelers. As one of the estimated 8 million annual visitors to the university and city each year, I found myself entranced by the rich architecture and intellectual vibe that permeated throughout the local culture. There was an aesthetic congruence to the historic streets, parks and town squares that brought engagement to the social fabric of the area, lending support to Cambridge’s distinction as one of the most walkable and vibrant communities in the nation. Cambridge is home to an estimated population of 105,594, driven largely by the faculty, staff and student community of Harvard. In addition Massachusetts Institute of Technology (MIT), a neighboring higher education institution of high repute is just a stones throw away. Despite a natural abundance of local assets, Harvard and Cambridge have arrived at a crossroads amidst tight budgets as well as fiscal losses to the university endowment. Last year, in response to a plummeting stock market that wrecked havoc on their investments, the university put the kibosh on a $1.4 billion science facility construction project, raising the ire of neighborhood residents who were suddenly surrounded by the eyesore of an abandoned project. Declining fortunes aside, Harvard continues to plunge ahead with investments designed to solidify its world stature as the premier educational institution in the world. One example of this is a plan to build a $90-$100 million executive education center that will sit on the Harvard Business School campus off Soldiers Field Road. When completed it promises to be a top-tier facility that will only serve to further the business school’s already pristine reputation. The university’s efforts to build upon stellar assets such as its business school are just another notch in the belt of its global reputation as the world’s most highly revered education establishment. Of greater note, though, is how these efforts translate into a better quality of life for Cambridge and the surrounding communities. A walkable paradise, the area boasts a high per-capita percentage of commuters who walk to work. Cambridge, in particular, has a nearly perfect score in terms of walkability, according to Walkscore.com. The pedestrian landscape, replete with a traffic-calming mechanism in the city’s downtown core, creates an oasis of urbanity that resonates well with the university’s more stoic academic confines. 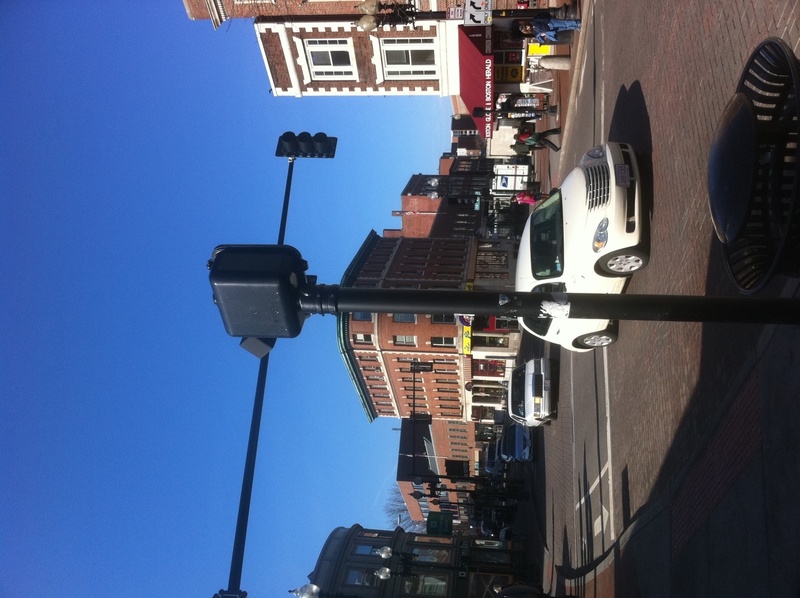 The infamous Harvard Square is the spoke for community activity and embodies the spirit of Greek agoras—those long ago gathering places that attracted intellectuals, curiosity seekers and people simply passing through. Located at the intersection of Massachusetts Avenue, Brattle Street and JFK Street, it is a hustle-bustle locale, as well as a feeder system for the Red Line train that travels to and from Boston proper. For voracious readers, the immediate vicinity features a rich collection of bookstores that cater to virtually every interest. There are over twenty-five bookstores situated in a six-mile radius, giving Cambridge the distinction of having more bookstores per capita than any other city in the world. Harvard’s influence is acutely felt in these stores, many of them featuring exclusive sections of books written by the university’s rich cadre of academics—high-profile writers like Clayton Christenson, Howard Gardner, Elizabeth Moss Kanter, and the late Rev. Peter Gomes. Questions still remain, though, about the future of traditional higher education and its lasting impact on the social fabric of communities like Cambridge. My bet is that the repute of Harvard will continue to attract the best and brightest minds, infusing the surrounding diaspora with a spirit of community, diversity and service that is unmatched anywhere else. Michael is the editor of Urban Engagement Webcity. He can be reached at The Urban Journalist dot com.